Although I would have previous layover flights in Baltimore, this was my first time exploring the city. I was invited to a event and thought this would be a great opportunity to see what this city has to offer. In such little time I can tell you the views of the harbor and the food is spectacular! My hotel stay was quite satisfying as well. 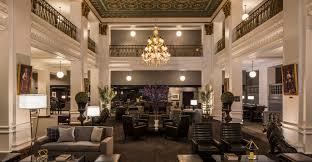 I resided at Lord Baltimore Hotel, had all the amenities you would need for a short stay only thing I wish they had was room service but they did have several menus of restaurants that delivered there. The inner harbor and Fells Point is beautiful at night as I spent my evening having dinner at Sagamore Pendry Hotel with a friend. Next time you are traveling to the east coast make a day trip to Baltimore!